Here at the UK Hydrographic Office, there’s a huge focus on learning and development so that staff can realise their full potential. In my first month at the UKHO as Head of Digital Services and Technology, I’ve been really impressed with this approach and how it’s helped to create such a positive work environment. Not only has the organisation recently redeveloped its working environment and moved into a new office, but they are also continuing to develop their teams' skills through a wide range of training opportunities. My role involves supporting all the talented software engineers, testers and architects to develop the best capabilities for all our users. And at the heart of this is a need to develop skills so our teams are empowered to deliver. I’m a huge fan of learning from others and keeping abreast with emerging concepts, and I support lifelong learning for all. The UKHO offers a range of opportunities to encourage this. Their award-winning apprenticeship scheme (which I'm excited to already be involved with) helps staff to develop their skills while gaining practical-on-the-job training - and there are currently around 50 apprentices employed across the business. 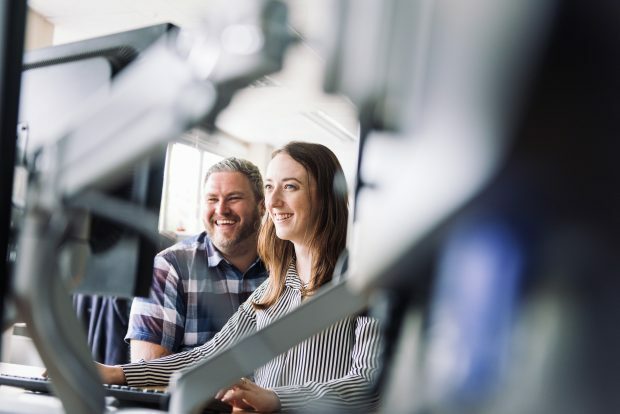 New talent is also encouraged through their trainee scheme, a bespoke career path in Software Engineering which allows rotations around the delivery teams with exposure to a wealth of product deliveries, plus time for personal and group projects. In addition to this, they offer part-time roles and a new 'returners' scheme to suit a range of diverse lifestyles. It's positive our technology teams fully embrace this and that there are digital opportunities for all - whatever their age or lifestyle. Having the headspace to think, create and reflect not only helps staff to develop their skills, but also to enjoy their time at work. 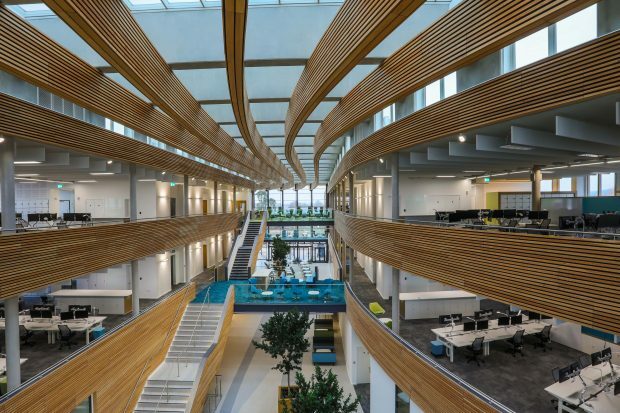 The UKHO's new building supports this with a modern and comfortable working environment, and for those that need to work from home, the office supports flexible working with great personal laptops. It also offers healthy and delicious food, a bright gym (if the hills of the local Quantocks haven't already exhausted you) - everything you need to do your role and enjoy the experience. By taking this approach, the UKHO have really created a positive atmosphere to work within. This week, I have joined buzzing sprint reviews and met a wealth of skilled individuals across teams. Everywhere I've been, people are friendly, always making time to chat, and pockets of laughter have occasionally emerged for teams hard at work. It's definitely a fun place to be and I'm looking forward to the months to come! Find the latest vacancies at the UK Hydrographic Office. Roxane Heaton is Head of Digital Services and Technology at the UK Hydrographic Office.